Plans for Apple's international retail stores appear to suggest that the company will begin taking preorders for the Apple Watch in more countries around the world starting on Friday, May 8. Apple apparently plans to set up display tables for the Apple Watch in its stores in time for the May 8 start of preorders, according to an internal source that spoke with Italian Apple enthusiast site iSpazio. Like in the U.S. and elsewhere, users will be able to try on the Apple Watch in stores to see what size and style suits them best. The report did not indicate when those preorders might begin to ship. But in countries where users can currently place an order for the Apple Watch, most models are not scheduled to ship until June or later. 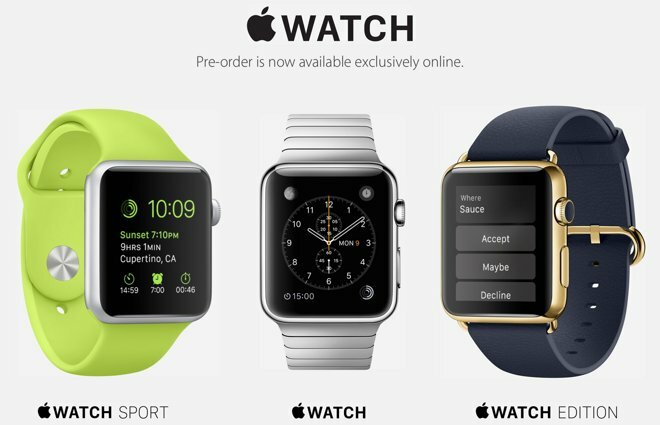 As with in the U.S. and other launch countries, preorders for the Apple Watch are expected to be online-only in the new countries. Beyond Italy, it's unknown what countries might be included in the rumored second wave. But if last year's international rollout of the iPhone 6 and iPhone 6 Plus are any indication, there could be some 22 new countries where Apple Watch preorders begin. Last year, Italy was in the second wave of the iPhone 6 launch, along with Austria, Belgium, Denmark, Finland, Ireland, Isle of Man, Liechtenstein, Luxembourg, the Netherlands, New Zealand, Norway, Portugal, Qatar, Russia, Saudi Arabia, Spain, Sweden, Switzerland, Taiwan, Turkey, and the United Arab Emirates. The Apple Watch officially launches this Friday in the U.S., Australia, Canada, China, France, Germany, Hong Kong, Japan, and the U.K. And though Italy won't be a part of the first wave, Apple has already begun promoting there, with marketing head Phil Schiller and designer Marc Newson making an appearance at the Salone del Mobile furniture design fair in Milan last week, both wearing the Apple Watch.